Chris Oliver, our pervious Youth and scooters Club sessions leader, has recently passed away. He will be sadly missed by us all. He did a huge amount of work for us and for Woodstock youth. 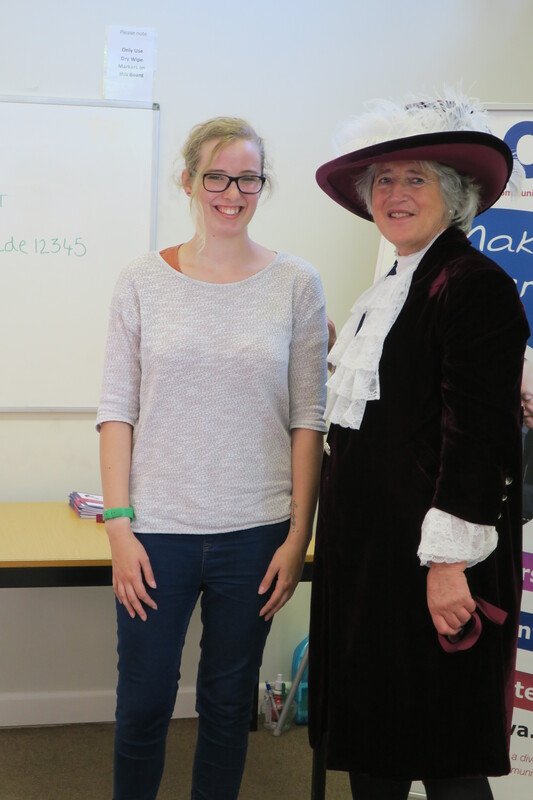 Jackie is an active Committee member and Youth Club sessions volunteer. Jackie voluntarily goes above and beyond anyone’s expectations in contributing to the smooth operation of the Woodstock Youth Club. She continuously encourages innovative ideas for a balance of activities to interest groups of boys, girls and integration of both. Well done Jackie and keep up the great work ! 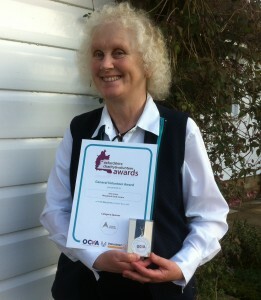 This year Zoe Hibberd, our volunteer, received the Oxfordshire Volunteer Awards. Zoe has done so much for the Youth Club over the years and dedicated long hou rs to make it work in the best possible way for our young people. 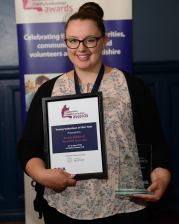 She is a member of the leadership team and a committee member, who regularly attends all meetings and youth club sessions. Very often you will find Zoe in the art room together with a group of young people having a chat and creating wonderful artistic stuffs. Thank you Zoe ! A big thank you to the Co-op for providing us a funding – great help to the Youth Club and very much appreciated. Thank You ! Our next AGM – Monday 8 May 2017 at 8pm – Recreation Rd, Woodstock, OX20 1NY – All Welcome ! 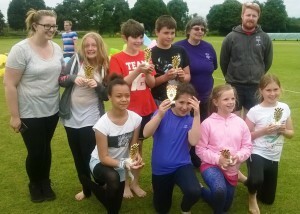 Members of a Woodstock youth club are celebrating after councillors agreed to award them a £50,000 grant so they can build a new purpose-built home. See here for more information. Thank you Cottsway for your second year money support which will be used for our art and craft, cooking and sport active material and equipment purchase. Well done to our Youth Club team who won the 1st prize – Knockout Sport Event June 2016. Congratulation to Ann Grant who won the Oxfordshire Volunteer Awards 2016. Mrs Grant frequently, voluntarily goes above and beyond anyone’s expectations in contributing reliable and smooth operation of the Woodstock Youth Club. She is the secretary of the Youth Club and has been involved in supporting and ensuring proper operation of the Youth Club’s Woodstock. She is also the founder and organiser of a successful Local Lottery to raise funds towards a replacement facility. Mrs Grant frequently attends YC sessions and always ensures youth users treat everyone at the Club with appropriate manners and proper decorum, so that everyone can feel welcome, appreciated and respected. The club has some 60 to 70 members of whom up to 30 are regular attendees. Membership is open to young people from 8 to 16 years old from Woodstock and the surrounding villages. The club meets every Tuesday night from 6.00 through to 8.30pm at the Youth Centre Woodstock. Candidates for interview should be able to show some experience of youth work or be willing to undertake some formal youth training. A DBS check is mandatory. Costs of training and DBS checks will be met by the Club. The club is a registered charity managed by a team of committee members. Salary, hours and all other conditions of employment are negotiable. 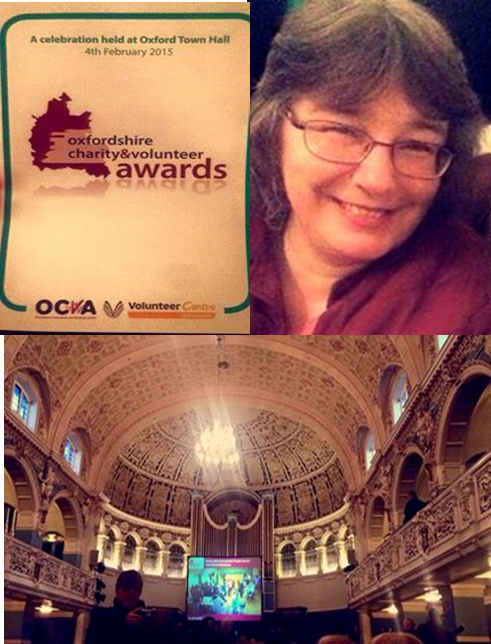 Congratulation to Jane Hibberd who won the Oxfordshire Volunteer Awards 2015. 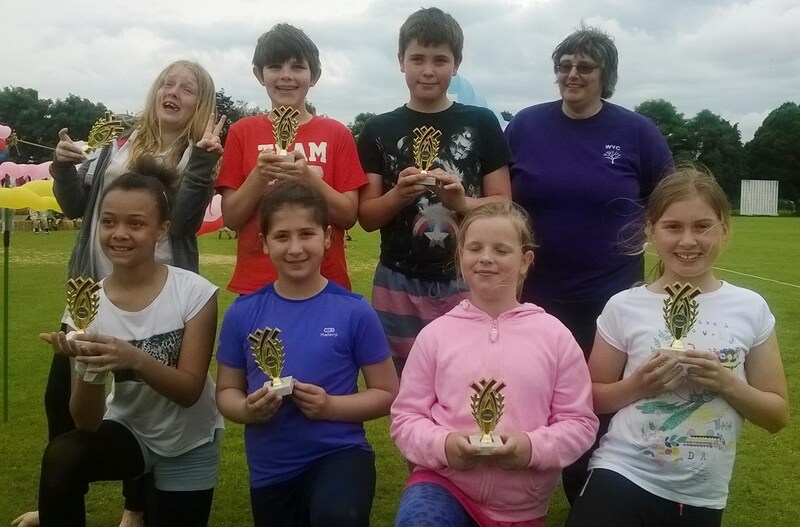 Jane’s time, devotion and ideas over many years directly enhance the Youth Club, frequently going above and beyond what’s expected to ensure the smooth operation of the club and a fun and constructive environment for the young people. 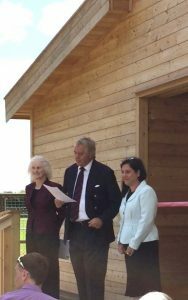 Woodstock Youth Club Committee and Young Members were saddened to hear of the death of our Club President “His Grace the Duke of Marlborough”. We extend our condolences to his family and are most grateful for all his support and help with fund raising over many years. 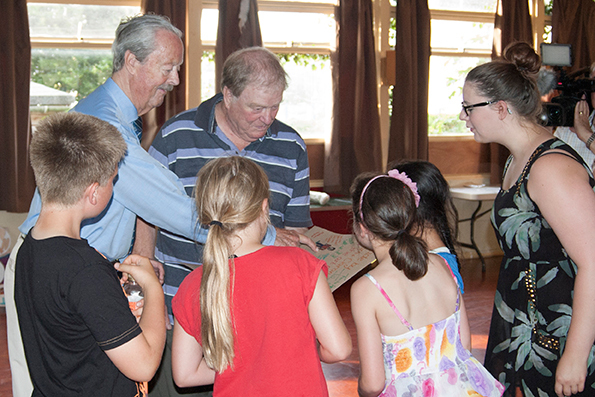 The photo shows the Duke at the Youth Club in 2013, enjoying a conversation with former leader Chris Oliver and members of the club. A fun Music Night with Steve Carmel – Friday 12th Sept 2014, 7:30pm start, at Oxford City Football Club, Marsh Lane, Marston, Oxford, OX3 0NQ. Bar/Raffle/Refreshments – Entry £5. For details and tickets please call Paula on 01993 883712. Alll proceeds to the Woodstock Youth Club Rebuilding Fund. Venue kindly donated by Oxford City FC. 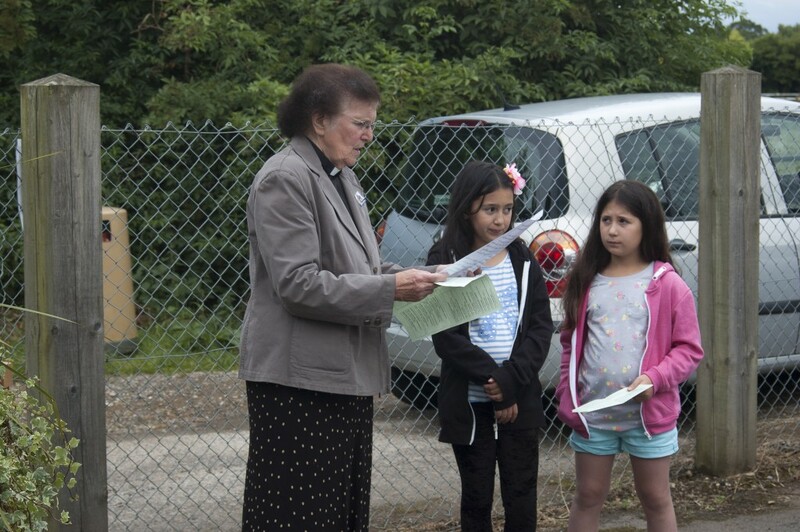 On Saturday 5th July we had an event to celebrate Pauline Richardson’s contribution to the Youth Club. A beautiful new planter has been installed outside the Youth Centre, Canon Barbara Doubtfire gave a speech and blessed the planter. Afterwards around 25 of us, including Pauline’s family, former YC leaders and committee members met in the club for drinks and conversation. 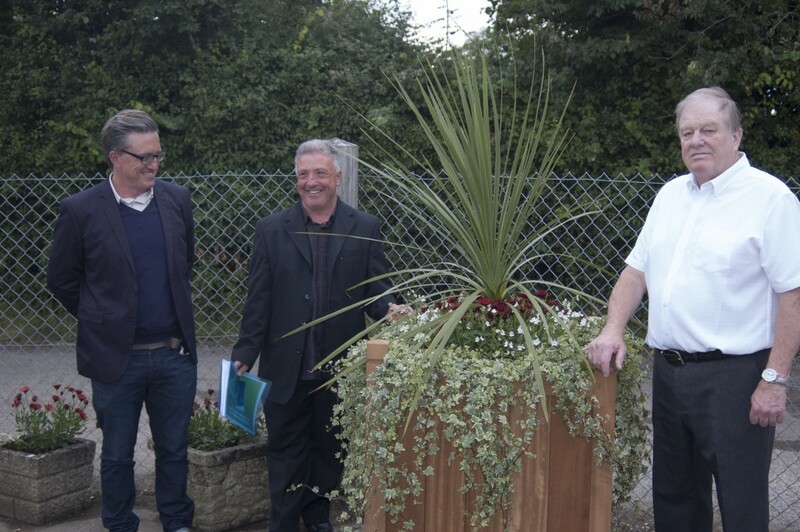 The planter was purchased from money raised by Chris Oliver and Ben Richardson, with support from Ian Hudspeth and the Blenheim Estate. 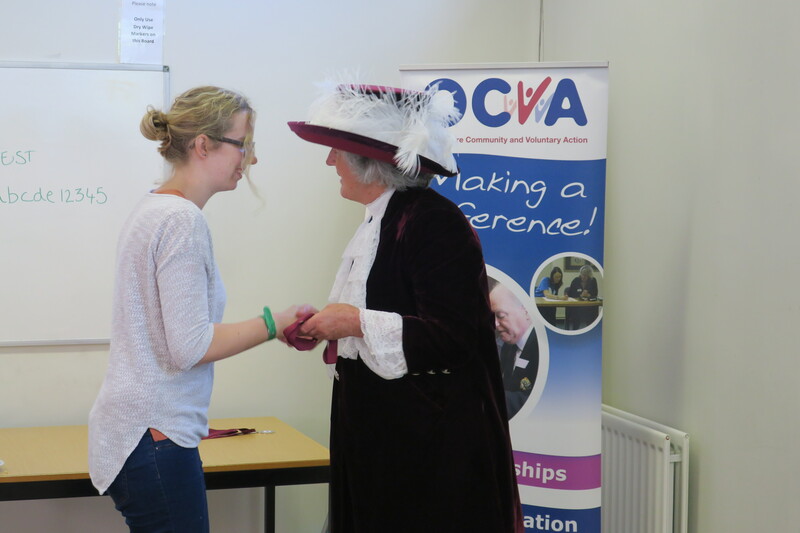 The AGM took place on Monday 16th June. The committee for 2014-15 can be found by clicking on the ‘about the club’ link at the top of the page. If you are hiring the Youth Club building for an event we now offer free wifi. Coming up on Thursday April 17th. Doors open at 7, eyes down at 7.30. Friend of Woodstock Youth Club, David Popham is cycling to Paris, and raising funds for our new building as he goes. Thanks very much David. Oxfordshire County Council Leader Ian Hudspeth drew the winning tickets in our first weekly lottery on Tuesday 25th February. 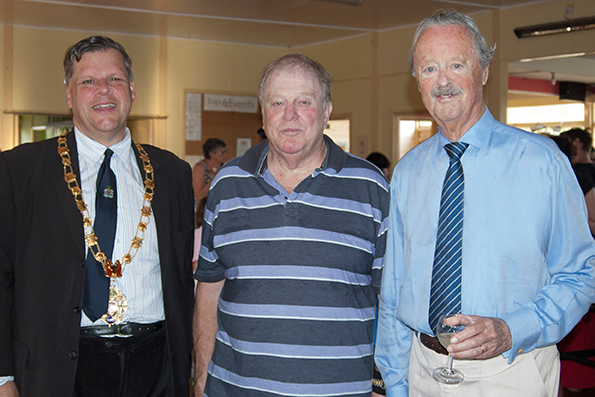 He was joined by Woodstock Town Mayor and youth club chairman, Julian Cooper for the draw at the Youth Centre. The lottery has been set up by committee members Ann Grant and Jane Hibberd. 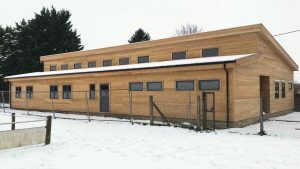 Both of them have worked tirelessly to get it up and running and hope to make lots of money for the new building project. 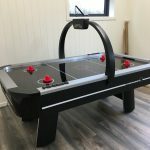 They have been supported by many other friends of the youth club and a fantastic grant from Cottsway Housing Association which has helped to pay to set up the lottery and for the publicity materials. To check on the winning numbers or join the lottery for a weekly chance to win cash prizes. Click on the link at the top of the page to find out how. The Christmas Party on December 17th went really well with more than 30 members enjoying fun and games and party food. John Shannon and Bob Taylor from the Woodstock Rotary Club joined us to present a cheque for £1500 for the new building fund. We were one of their chosen charities to support in 2013 and the money was raised at their annual Blenheim 10k run in October. We thank them very much it is really appreciated and the fund is now well over £90,000. YC members joined in a fabulous Midnight Skating session at Oxford Ice Rink on December 22nd. We raised £200 at the Bingo on Monday 16 December. Thanks to all involved. Pauline Richardson, one of our committee members and lifelong worker for youth issues, passed away on November 6th. She will be sadly missed by us all. She did a huge amount of work for us and for Woodstock. 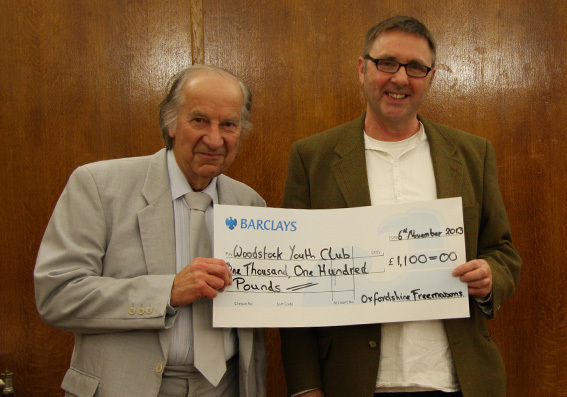 The Marlborough Lodge of the Freemasons recently donated £1000 to the Youth Club rebuilding fund. We received a further £100 from Oxfordshire Freemasons at a Charity Giving evening at Witney on November 6th. Tracy Wray and Bob Pomfret represented the club and Bob received the cheque. Thank you very much to the Marlborough Lodge for continued support. 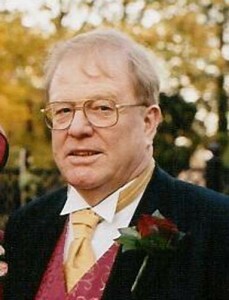 The photo is courtesy of James Faulkner Photography, Witney. 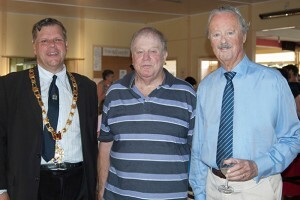 In October this year the Blenheim Run organised by the Rotary Club raised money for the Youth Club building fund. Several members of the committee helped out on the day. Thanks to: Ben, Tracy, Bob, Clive and Paula from the club and especially to the Woodstock Rotarians. Thanks for thinking of us. On Tuesday 16th the end of year Summer Party was a very special occasion. We celebrated Chris’s more than 50 years in youth work, and his last night as leader of Woodstock Youth Club. At least 80 people turned up: club members past and present. Former members of Bladon youth club and all sort of other people who had met and worked with Chris over the years. Former Woodstock Town Mayor, Brian Yoxall gave us a cheque for £1,150, money raised for the club as one of the mayor’s charities of 2012/13. Thank you very much Brian. Original Youth Club trustee, John Whitlock brought his video camera to record the event for posterity and the Duke of Marlborough, our club president, came to say a few words of thanks to Chris. He also presented a gift to Chris from the committee and flowers to Chris’s wife Kate (an invaluable behind the scenes supporter for many, many years) and daughter Steph (Assistant youth club leader, former club secretary and committee member). Son Michael, another behind the scenes supporter and YC building repairer got a mention in the Duke’s speech but somehow got missed out on the flowers (sorry Michael). There was a really good barbecue (thanks for doing me a vegeburger!) 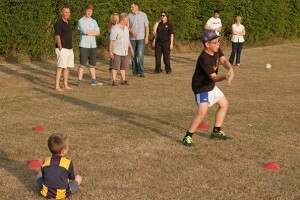 and a rounders match organised by Ben Scurr. 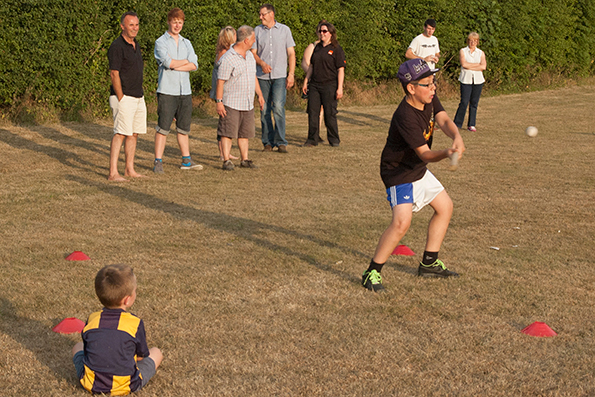 Adults took on children and somehow we lost… too many of the kids were good at catching. That’s my excuse anyway. Although it was his last night as club leader, Chris being Chris, is not turning his back on the club, he was elected Vice President of the club at the AGM and he is continuing to run the Scooter Club on Wednesday afternoons. Chris Oliver’s Farewell Night at the Club is tonight, Tuesday July 16 from 6.30pm. We will have a BBQ and fun and games for all ages and we’d like to see as many old club members as possible. Please come along. Committee: Andrew Denmark, Paula Denmark, Ann Grant, Zoe Hibberd, Chris Oliver (Youth Leader), Kami Parnes, Ben Richardson, Pauline Richardson (Town Council nominee), Nicki Rogan, Clive Smith and Elaine Stokes (Town Council nominee). 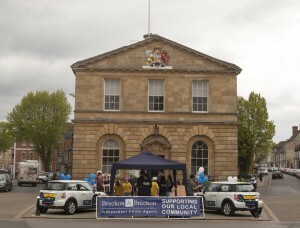 The YC Fun Day at the Town Hall on May 18th went well. Members of the Scooter Club demonstrated their skills on the ramps and jumps and we had several stalls and great support from Breckon and Breckon who filled a mini with balloons for a ‘guess how many balloons you can fit in a mini’ competition. For future reference I think the answer was 119. We made more than £350 and it was good PR for the club and our re-building efforts. Congratulations to Paula Denmark for raising £300 at the Country and Western Dance on Friday May 3rd.